These mortgages are strictly for FHA-to-FHA refinances. They have no FHA-required credit checks and must result in a specific tangible benefit to the borrower, such as a lower payment, lower interest rate, or moving out of an adjustable rate loan to a fixed rate FHA mortgage. November 1, 2018 - What should you know about FHA Streamline Refinance Loans? These mortgages are strictly for FHA-to-FHA refinances. They have no FHA-required credit check (or FHA-required appraisal in most cases), and must result in a specific tangible benefit to the borrower such as a lower payment, lower interest rate, moving out of an adjustable rate loan to a fixed rate FHA mortgage, etc. The rules that govern FHA streamline refinance loans are found in HUD 4000.1, and include (but may not be limited to) the following things you should know about these FHA-to-FHA refinance loans. 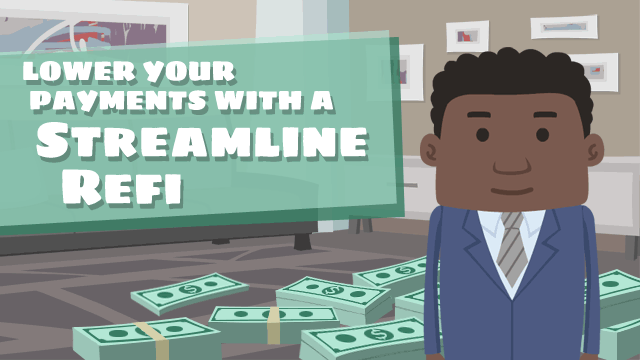 You read that correctly, it is possible to add someone to the title without the usual credit check, making the FHA streamline refi loan an advantage for some borrowers who need this option. The original principal balance of the existing Mortgage (including financed UFMIP); less any refund of UFMIP. Your participating FHA lender is permitted to use estimates to determine the maximum mortgage amount “to the extent that the total mortgage amount does not result in the Borrower receiving greater than $500 cash back at mortgage Disbursement” according to HUD 4000.1. However, cash back to the borrower due to unused escrow from the original mortgage is NOT considered part of that $500 cash back limit, “whether received at or subsequent to mortgage Disbursement”. Ask a loan officer if you have questions about these policies and how they may affect your Streamline Refinance transaction.